Since beginning The Drawing Source I have often been asked what makes a drawing look realistic or believable. This is such a great question, and one that I couldn't answer in just a page or two! 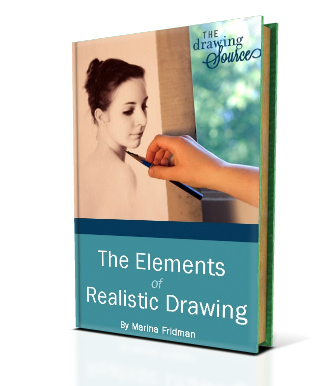 My reply turned into this e-book, which I wrote to clarify five crucial elements that determine the realism and believability of your drawing. This e-book is, of course, not all there is to drawing! 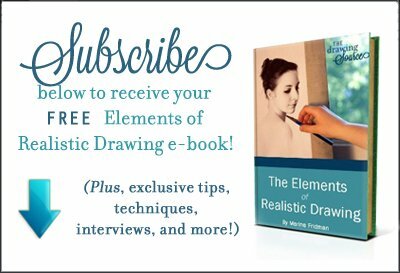 It is also not a how-to book that will take you through every step of your drawing (although you will get many practical tips and techniques to apply immediately). 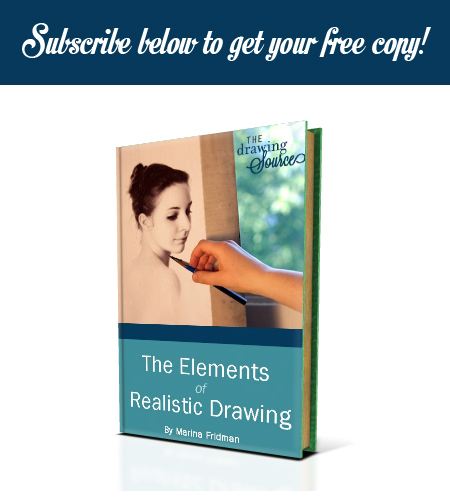 The purpose of this e-book is to address the five elements that any drawing of any subject requires in order to be recognizable, believable and realistic. I hope that it will help you achieve the effects that you want in your drawing, and create believable illusions with pencil on paper! Please enjoy The Elements of Realistic Drawing!